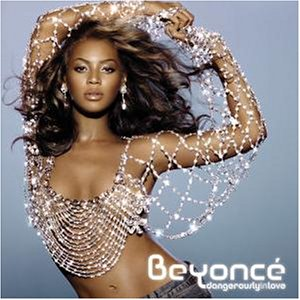 Dangerously in Love is the debut solo album of American R&B singer Beyoncé Knowles, released on June 24, 2003 by Columbia Records. Aside from blending R&B and soul genres in the album, Knowles explores into hip hop and Arabic music, influenced by the album's record producers and featured guests. Housing a combination of uptempo songs and ballads, the album had mixed reactions, many of whose critics approved the former and dismissed the latter. Its lyrical contents are about love, and although Knowles remained discreet about her interpretation of the songs, they were attributed to her close relationship with rapper and long-time boyfriend Jay-Z. The album has sold more then 8 million copies worldwide. Recorded during the hiatus of former group Destiny's Child, the album facilitated Knowles in becoming a viable solo star, as well as one of the most marketable acts in the recording industry, signing to a number of promotional deals. Along with numerous awards and accolades, the album earned Knowles five Grammy Awards in a single night in 2004, matching the likes of Lauryn Hill, Alicia Keys and Norah Jones for most wins by a female artist. With worldwide number-one hit singles "Crazy in Love," "Baby Boy," and "Naughty Girl," the album became a worldwide commercial success, earning multi-platinum certifications in Australia, the United Kingdom, and the United States, being also her best selling album to date. The album ranked as one of the top 200 albums that shaped rock and roll according to the Rock and Roll Hall of Fame. Entertainment Weekly also named the album one of the best albums in the past 25 years of music.